The long lost photos from the final days of tour with Ruby the Hatchet. A series of random behind the scenes and photo outtakes from the last few lost days on Route 66. Perpetual van breakdowns amidst tarantula mating season, isolated hotels, $100 Chinese take-out, drinking with the locals and ghost town grocery stores stocked with bones. 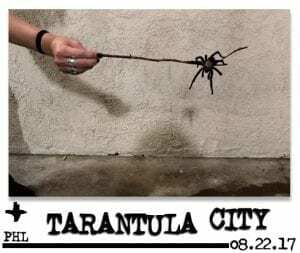 See the full set of Tarantula City snaps.